Selling Guns? ?--Lying to be honest--Do humans needs the Law (s) ? ?--The Ultimate Goal--!! 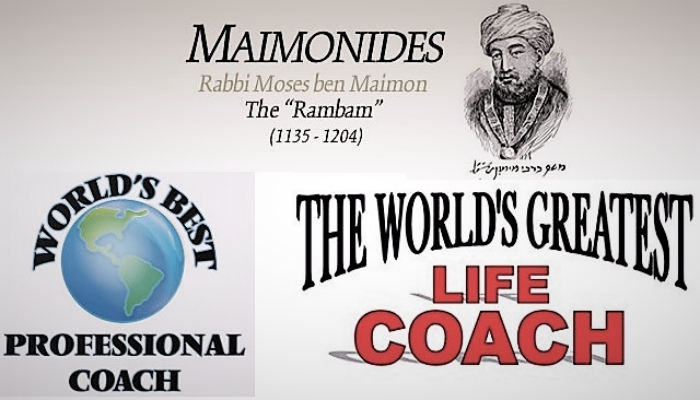 The fourteen volumes of the Mishneh Torah, is the most important set of books on Jewish law written by Rabbi Moshe ben Maimon, known as the Rambam – Maimonides, 1135 - 1204. It includes minute details about sacrifices, G-ds chariot, the fundamental elements of the universe, healthy diets, the laws of keeping kosher, the Jewish holidays, family law, and the ultimate redemption with the coming of Moshiach, and much more. 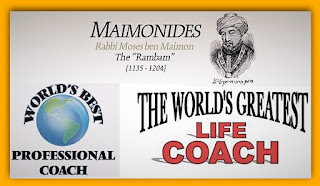 The Rambam/Maimonides deduces from the Talmud and Rabbinic literature clear legal decisions, reorganizes them, and creates a perfect order out of the apparent Talmudic disarray. No one since, has achieved anything like it. 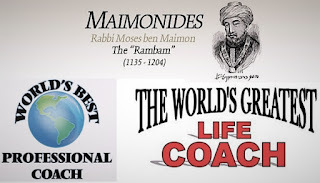 The following, is guidance and inspiration from the actual words of the Rambam, applicable in our current daily lives, based on the eternal wisdom and words of G-d in the Torah. THE ULTIMATE GOAL IN PERFORMING G-DS COMMANDMENTS IS, TO SUBJUGATE THE EVIL INCLINATION. G-ds commandments are the ultimate recipe to gain mastery over ourselves. ONE IS NOT ALLOWED TO LIE EVEN IF HE INTENDS IN THE END TO DO THE HONEST THING. If a person owes a colleague a hundred dollars, and the colleague claims 200 from him, he should not say: "I will deny the entire amount in court so that I will not be required to take an oath (since according to the Bible, one who denies the entire claim is exempt from taking an oath before the judges) and acknowledge the debt of the 100 dollars (later on) in private." It is forbidden to sell to dangerous people (who have a presumption of acting unlawfully) any weaponry. We may not sharpen weapons for them or sell them a knife, chains put on the necks of prisoners, fetters, iron chains, raw Indian iron, bears, lions, or any other object that could cause danger to people at large. One may, however, sell them shields, for these serve only the purpose of defense. Just as it is forbidden to sell such weaponry to these type of people, so too, is it forbidden to sell it to an otherwise upright person who will sell it to these people. It is permitted to sell weapons to the soldiers of the country in which one lives, because they defend the inhabitants of the land. MAN’S NATURE IS SUCH THAT IT CAN NOT BE RELIED UPON TO ALWAYS TO WHAT’S RIGHT, THEREFORE WE NEED, “LAWS”. …Human nature tends to increase his property and attach importance to his money. Even though he made a vow or consecrated something, it is possible that he will reconsider, change his mind, and redeem it for less than its worth. Hence the Torah states: "If he redeems it for himself, he must add a fifth." Similarly, if he consecrated an animal in a manner that its physical person becomes consecrated, he might reconsider. In this instance, since he cannot redeem it, he will exchange it for a lesser one. If he was given permission to exchange a superior animal for an inferior one, he will exchange an inferior one for a superior one and claim that it was superior. Therefore, the Torah removed that option, forbidding all exchanges and penalized him if he made an exchange, "It and the animal to which its holiness will be transferred shall be consecrated." All of these ordinances are to subjugate one's evil inclination and improve one's character. Playing Robin Hood - Just touching? NO NO - Verbal Abuse - why the hardships? Knowledge is Power – G-dly Knowledge is Super Power. 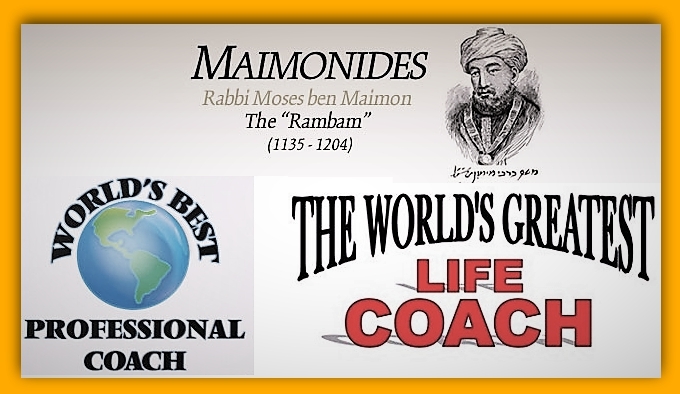 The following great words of wisdom are from the actual words of Maimonides, from his 14 volume magnum opus – Yad Hachazakah – Strong Hand. Stealing from the rich to give the poor – is that a Mitzvah??? When one steals or obtains an object through robbery and offers it as a sacrifice, it is invalid and the Holy One, blessed be He, hates it, as [Isaiah 61:8] states: "[I am God Who...] hates a burnt offering [obtained] through robbery." Needless to say, it is not accepted. If the owner despairs of its return, (according to Scriptural Law, the owner's despair is enough to effect the transfer of the property) the sacrifice is acceptable. For the sake of the enhancement of the altar's [honor], it was decreed that if it became public knowledge that a sin-offering was obtained through robbery, it does not bring about atonement even if the owner despaired of its return, so that it will not be said that the altar consumes stolen property. ……we see the power of the Sages: that if there is a significant reason - as in this instance - their decree can nullify the validity of the sacrifice. Eat in Moderation and don’t eat like a glutton. It’s unacceptable. It is a negative commandment of the Torah…. Do not eat or drink like a glutton and a drunkard, as [Deuteronomy 21:20] states: "This son of ours is a glutton and a drunkard." Some very sharp words on verbal abuse. Verbally abusing a person is more severe than taking unfair advantage of him financially. 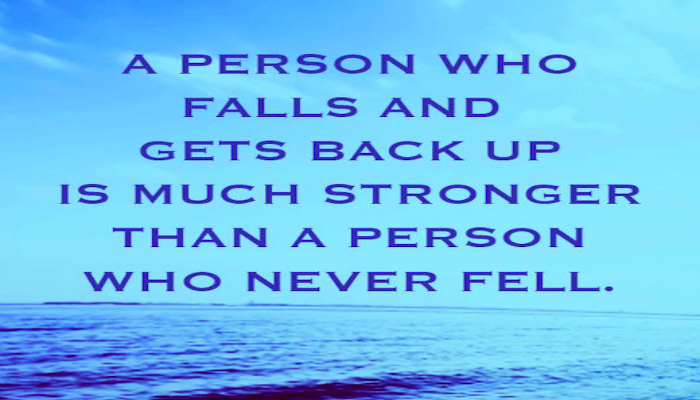 For the latter can be repaid, while the former can never be repaid. The latter involves only the person's possessions, while the former involves his person. And with regard to verbal abuse, Leviticus 25:17 states: "And you shall fear your God," for the matter is one of feelings. With regard to all matters of feeling, the Torah states: "And you shall fear your God." Whenever a person cries out because of verbal abuse, he is answered immediately, as implied by the conclusion of the above verse: "...I am God." Just Touching….. Is a huge NO NO, and leads to much worse. PERIOD. Whoever shares physical intimacy with one of the Biblical forbidden relationships without actually becoming involved in sexual relations or embraces and kisses [one of them] out of desire and derives pleasure from the physical contact should be lashed according to Scriptural Law. [This is derived from Leviticus 18:30 which] states: "To refrain from performing any of these abominable practices," and [ibid: 6 which] states: "Do not draw close to reveal nakedness." Implied is that we are forbidden to draw close to acts that lead to revealing nakedness. A person who engages in any of the abovementioned practices is considered likely to engage in forbidden sexual relations. Hardships may be your biggest blessing. ……Know that the World to Come is hidden away only for the righteous… The fact that you see Israel suffering difficulty in this world [reflects] the good that is hidden away for them. For they cannot receive an abundance of good in this world …… For their hearts may become bloated and they will err and lose their reward in the World to Come, as [Deuteronomy 32:15] states: "Jeshuron became fat and rebelled." The Holy One, blessed be He, brings upon them an abundance of retribution solely so that they will not perish. The path of recovery is the path of real true joy. Simchat Torah & Dancing. The Rebbe asked the student to look out the window and tell him what he saw. In the book of Nechemia it tells us, the entire congregation who returned back to Israel after the destruction of the first Temple 587 BCE made Sukkot/huts together with Ezra the scribe 458 BCE. They sat in them, and there was an inordinate amount of joy, not seen from the times of Joshua - 1500BCE! So, for over one thousand years that sukkot was being celebrated, as attested by the prophet, this intensity and degree of festivity and joy was never celebrated before!! How does that figure? On the path of serving G-d there are those that never break the law, (almost never) and there are those who are learning from their mistakes and constantly re-evaluating and improving their thoughts, speech, and actions. Which of the two has greater value in the eyes of G-d? The one who always goes along the path of the righteous, never veering off far from the right road has been constantly progressing. 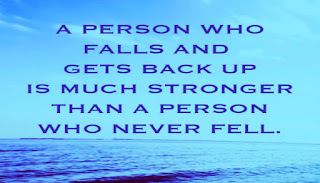 The one who has stumbled and failed along the way, has detoured, been delayed, bruised and bumped. The person who lost to his instincts and temptations tasted the superficiality of a narcissistic lifestyle. Tasted failure and experienced the epiphany of knowing the difference between living a worthwhile life and just living to push time along. This realization and the strength to overcome the old habits makes this person way more understanding, way more stronger, and with way more depth and breadth of knowledge than the person who never failed. The generation of Joshua was those, of the righteous. They entered into the covenant with G-d on the plains of Moav, and they were motivated by the experience of their own eyes which saw G-dliness, to observe all that was written in the Torah. When they entered the land of Israel, they were on a very high spiritual level. The returnees back to Jerusalem was after the destruction of the Temple and the pursuant harsh exile of Babylon which was brought upon them as the prophet Jeremiah had warned so many times, because of their failures and rebellion against G-d. When they finally repented realizing the folly of their ways and returned back to Jerusalem to rebuild the second Temple, their joy was far more richer and deeper because, of all the terrible occurrences that was now behind them, than the generation of Joshua could have ever realized or appreciated. They saw the bad and were now using all of it as a spring board to start anew all over again. They experienced deep darkness and appreciated the value of light like never before. That is why they celebrated the Holiday of Sukkot now and at this time with a “tremendous great happiness and joy” in the most powerful and passionate way EVER. The Holiday of Sukkot comes after the repentance and introspection of Rosh Hashanah and Yom Kippur. That is why the Torah/Bible tells us THREE times to be happy on this holiday. The happiness that is available after one has failed and rehabilitated themselves is by far the greatest, way more than any of the other holidays. Rabbi Sar Shalom of Belz once said. “I am not able to explain fully the deep understanding for the dancing on Simchat Torah. But one thing, one must know. Any prayers that are not able to ascend (to G-d) throughout the year, will go up on this day, through dancing (and Joy of this Holiday).